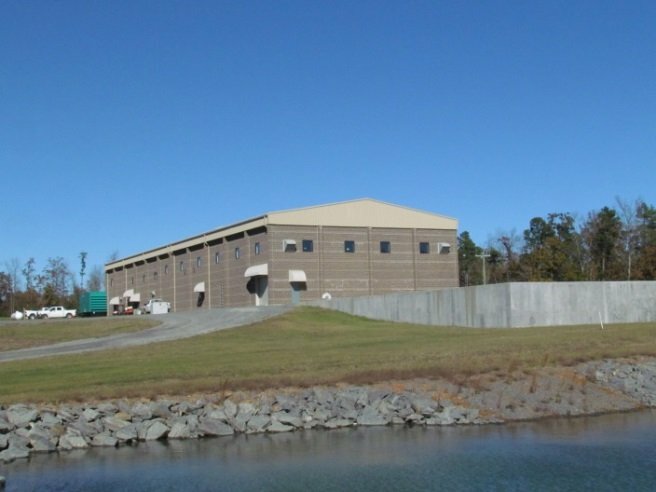 Working with another engineering firm, Crist Engineers designed a water supply intake structure and 10 MGD water treatment plant in the Cove Creek area of Greers Ferry Lake. The intake structure includes submersible pumps installed in inclined pipes with multi-level screened intakes. The water treatment plant includes the addition of chlorine dioxide followed by rapid mix, three stage flocculation, plate settler enhanced sedimentation, dual media filtration with combined air and water backwash, disinfection, instrumentation and controls, clearwell, and backwash ponds. The water treatment plant provides wholesale water to eight members of the water authority through an extensive water transmission system extending from Greers Ferry Lake to Jacksonville, Arkansas. Water Plan Compliance and a Surface Water Diversion Permit were secured from the Arkansas Natural Resources Commission. Lonoke White and its members have water storage allocation agreements with the Corps of Engineers needed to withdraw water from Greers Ferry Lake. The project was funded by USDA Rural Development and the Arkansas Natural Resources Commission. An Engineering Report and Environmental Report were prepared to satisfy funding requirements. $18,000,000 for water treatment plant and intake structure. Crist Engineers received an Engineering Excellence Award for this project in 2016 by the American Council of Engineering Companies of Arkansas.